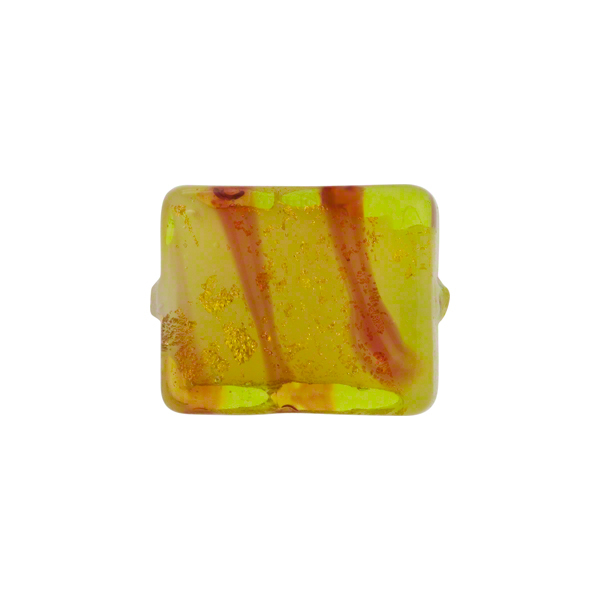 Authentic Murano Glass Bead in the incalmo style where a base layer of opaque glass is accented with a layer of transparent on the exterior, but has been enhanced by the added touches of a spiral of glass and gold foil. The size is approximately 15mm in length and 12mm wide with a 1mm hole which runs through the center. The color is peridot green Murano glass encasing the foil with stripes of Rubino Murano Glass around.